One to One Mindfulness sessions can be a great way of developing your own mindfulness practice with the help and support of the Christian Mindfulness and Christian Contemplation Course Author, Richard H H Johnston. The sessions can be via Telephone (UK only) or Skype Audio (available internationally). These meditations have been chosen and are recommended to help you build a Christian Mindfulness Meditation Practice. But you can choose how many sessions you would like and which meditations you would like to cover. Click on the button below and remember to select under Quantity the number of One to One sessions you would like to purchase. After purchase you will be contacted (usually within 24 hours) with further details for appointment options. See below for Terms and Conditions. One to one Sessions are a great opportunity to explore Christian Mindfulness Meditations and also speak to the Online Course author, Richard Johnston, who has over 20 years experience in this area. Please read the Terms and Conditions below before making your purchase choice. 1. After your purchase you will be asked to suggest some appointment times (dates and times). 2. All One to One Sessions last for 30 minutes maximum. 4. All appointments will be either telephone audio calls or Skype audio calls so make sure you have a telephone or Smartphone/PC/Laptop with microphone and Skype account. 5. 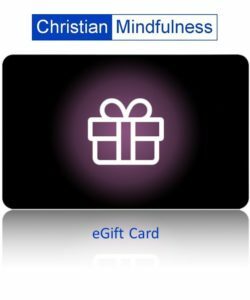 Christian Mindfulness One to One Sessions do not offer any form of counselling or psychiatric help. Please consult with your doctor or health professional if you are unsure about the suitability of mindfulness meditation. 6. Content of calls will be restricted to a guided meditation followed by a reflective discussion of the meditation and any questions you may have. 8. The number of calls will be limited by your choice of purchase Calls may be shorter than the purchased length if the discussion comes to a natural end. 9. All calls will be to Skype addresses or UK telephone numbers. If you would like to use Skype then please ensure you have a suitable Skype account. 10. It is the Purchasers responsibility to provide a suitable Skype address or telephone number. 11. All One to One Sessions must be used within 6 months of purchase. Prefer to explore the Online Course instead? See here.